The Carnival of the Ascended Annual World Event is up celebrating another year with Rift’s 3rd Anniversary with various Carnival Games and associated Carnival goods. A whole plethora of mounts, essences, costumes, pets, consumables and titles are available to be purchased with Auroral Doubloons, Glass Beads and Prize Tickets! This year the event lasts for only two weeks from 27th February to 13th March 2014. The Carnival of the Ascended celebrates Rift’s Anniversary and the Ascended’s past achievements in conquering the false Dragon Gods. Telarans have set up a variety of Carnival Games in the major cities and Dragon Pinatas spawn throughout all zones with a chance at past world event items. Rift Store updated with World Event tab containing various Carnival goods to purchase. Carnival Games available in Sanctum, Meridian, Shimmersand and Tempest Bay. 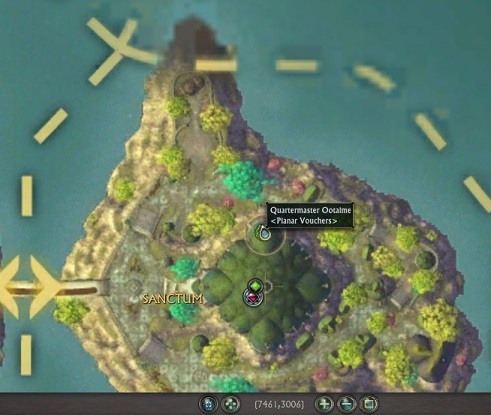 Dragon Pinatas spawn in all Zones. Defeating them rewards you with Glass Beads and chance at past World Event items. One-time Quest to obtain 1x Auroral Doubloon is up. Dragon Parades that start at Sanctum and Meridian journey throughout the zones, dropping Parade Cores. New Carnival Games are available in Shimmersand and Tempest Bay. One-time Quest to obtain 2x Auroral Doubloon is up for Week 2. Reminder: The Air Saga World Event‘s Phase 2 starts on the 20th March, introducing Arc 4 of the Air Saga Quest-chain, Bloodfire Behemoth zone events and unlocking the Bloodfire Stronghold. There’s a whole plethora of Store Items introduced with the Carnival of the Ascended – both old and new alike. Dimensioneers have been given a treat with this year’s Carnival of the Ascended, introducing four Carnival dimension kits with an assortment of Carnival Games-themed objects, an entire banquet of dinnerware and food; and a brand new Dimension Key: Castle Fortune. Want to know all about the various currencies available to be gained during the Carnival of the Ascended? How about an efficient way of obtaining a Knight Spider Mount or obtaining an endless amount of Carnival Celebration Crates? 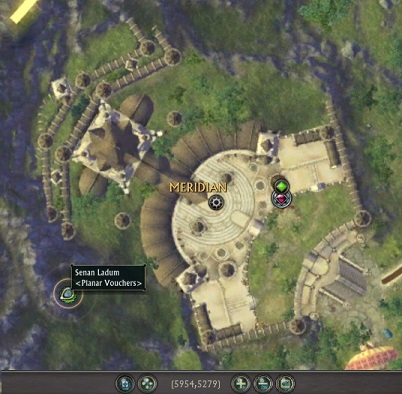 You can send all the prize tickets and glass beads on your alts to your main via Voucher merchants in Sanctum, Meridian and Tempest Bay. No additional costs are required for the vouchers and they come in bundles of 1 or 25 for both Glass Beads and Prize Tickets. The vouchers allow you to send the Carnival currencies to other characters on your account. 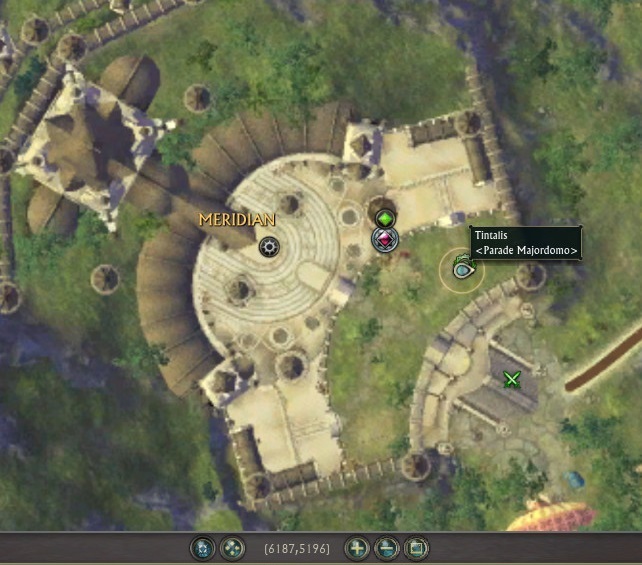 There are a currency exchange vendor in Sanctum and Meridian. Perdel <Moneychanger> in Sanctum at (7403, 3120). Rakim the Thrifty <Moneychanger> in Meridian at (6117, 5181). Note: The Pyrite Doubloons were the limited currency for the 2012 Carnival of the Ascended. The limited currency has been the Auroral Doubloon ever since. Thus if you weren’t here back in 2012 and don’t have any Pyrite Doubloons lying around, the “Prize Ticket Bounty” (50 Prize Tickets) conversion is irrelevant to you. Below is a guide to the Carnival Games/Quests related to the Carnival of the Ascended World Event. 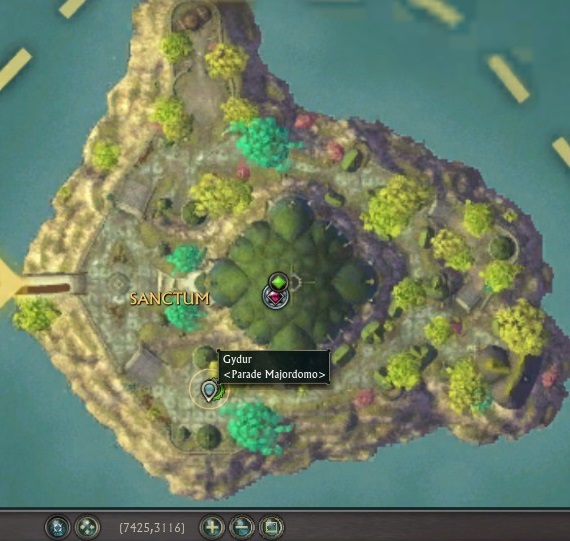 The Carnival Games and Quests are located in Sanctum, Meridian, Shimmersand and Tempest Bay. 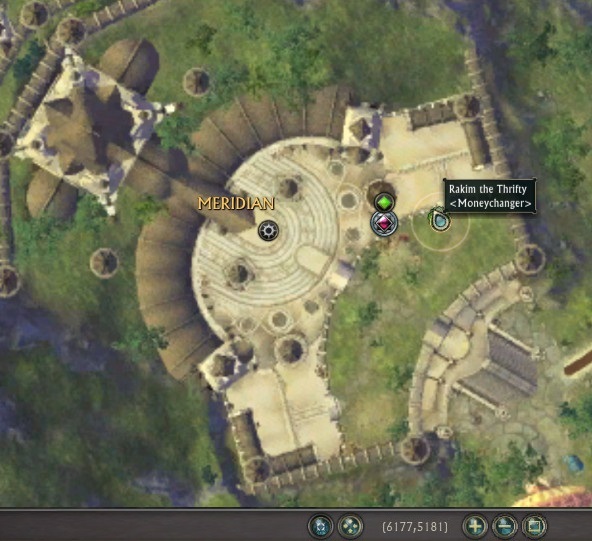 Sanctum – To the left of the main Messengers of the Vigil Statue outside Sanctum building. Meridian – In the middle courtyard in-between the Inner and Outer Walls. 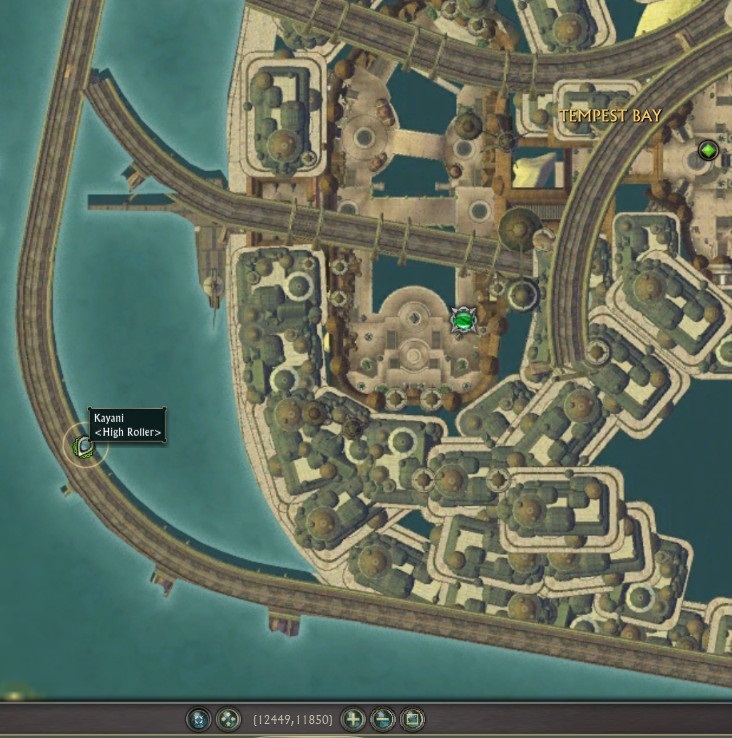 Shimmersand – Right outside Fortune’s Shore where all the boats are docked. Tempest Bay – At the Docks. Phase 1 starts on 27th February 2014 and ends 5th March 2014. 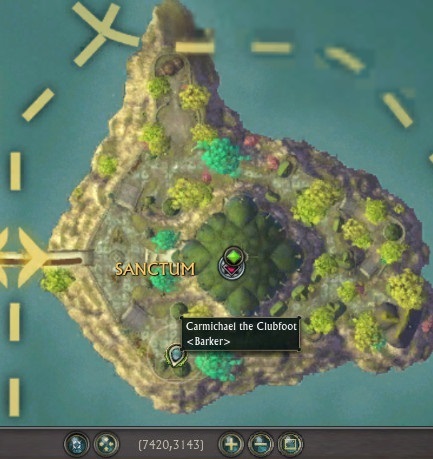 Sanctum – Carmichael the Clubfoot <Barker> located at (7420, 3143). Meridian – Bokk the Squint-Eye <Barker> located at (6193, 5178). The quest involves completing 50 carnival games. Don’t panic though! This quest includes group contribution – so if someone else in your group finishes a carnival game, it counts to your quest completion. 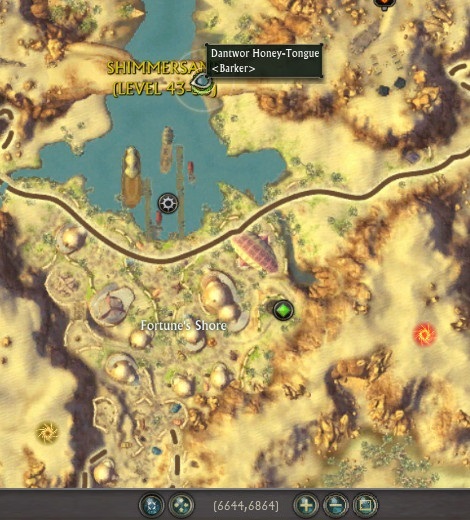 By joining a large group/raid like a Balloon-Stomping raid; you should be able to finish this quest very quickly. Reward: Auroral Doubloons and a Carnival Celebration Crate. 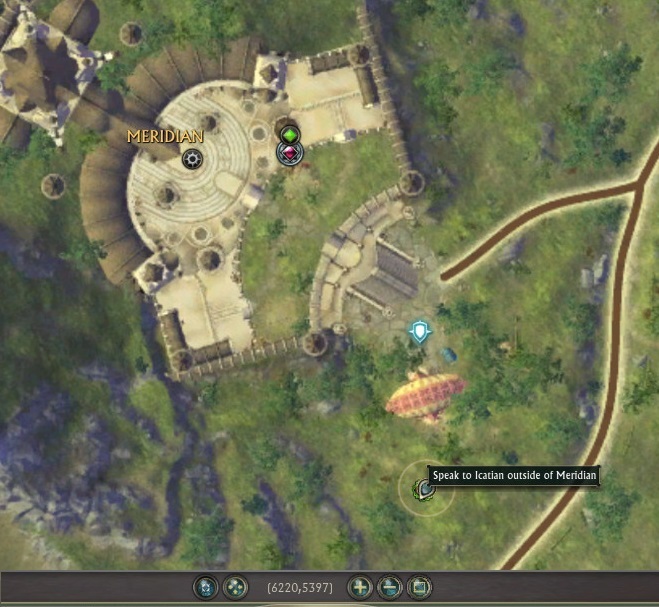 Check out Seatin’s guide on how to obtain a ton of Carnival Celebration Crates in short order. Note: Phase 2’s quest will give out 2x Auroral Doubloons so you should be able to obtain 3 Auroral Doubloons in total for this event. This daily quest simply needs you to do 3 Carnival Games. It doesn’t reward much (1 Prize Ticket) other than the first time. Note: The 3-Year Birthday Cake is only rewarded to those who have never done this quest before – that includes previous years. You can also purchase the 3-Year Birthday Cake from the Rift Store -> World Event section for 10 Prize Tickets or 20 Credits (18 for Patron). Pretty much every Crafting Profession except Dream Weaver (excludes Fishing + Survival) can receive a quest to change Traveling [Craft] Kits into ingredients needed to complete the quest. 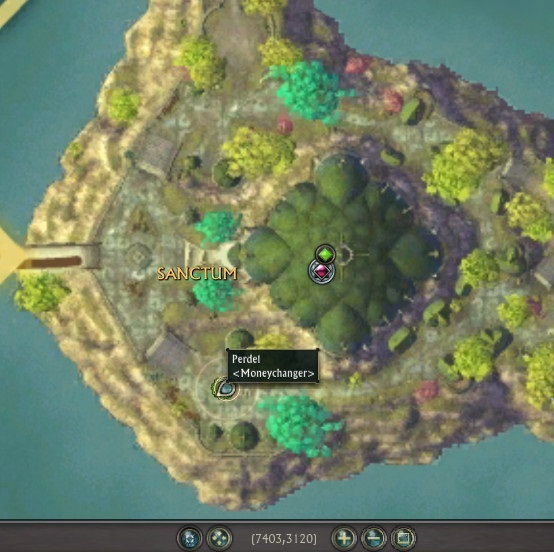 You will need to use Pumice Stones, Ultra-Thin Hides and Helium Blossoms that you obtain from Gathering nodes in the open world during the world event. 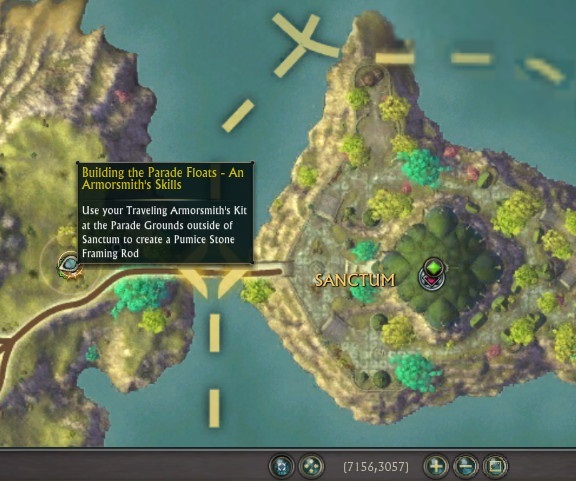 You will need to be near the Parade Grounds crafting cart outside your home city [ Sanctum ] [ Meridian ] and use the ‘Traveling [Craft] Kit’ Quest Item. Pumice Stone: Gained from mining ores. Mining Profession. Ultra-Thin Hide: Gained from butchering mobs. Butchering Profession. Helium Blossom: Gained from foraging plants and wood. Foraging Profession. As well as the craft quests, there are also Gathering turn-ins for turning in Pumice Stone, Ultra-Thin Hide and Helium Blossoms. Tales of the Ascended is a Daily quest located in Shimmersand. The quest is obtained from Dantwor Honey-Tongue <Barker> who is located in front of the Carnival ferries at (6644, 6864). Objective: Speak with the Herald of Heroes; Participate in [Tales] Raid Rift. The Herald of Heroes is located in Shimmersand at (7036, 6994). Speak to him and he will summon the Tales of the Ascended Raid Rift. There are approx 3-4 different tales that rotates at random each day. Once the rift is completed, speak to the Herald of Heroes to complete the quest. Although the adds are Level 52 – they can be painful if you aren’t in a decent solo spec – even at Level 60. Don’t pull the entire pack of mobs during each phase unless you have some self-heals. If you complete the rift but somebody else starts a fresh version of the rift – don’t fret! There’s two versions of the Herald of Heroes – One in the rift, and another who is standing on one of the spectator steps surrounding the rift that you can turn the quest in to. Balloon-Stomping is a repeatable quest located in all the Carnival areas: Sanctum, Meridian, Shimmersand and Tempest Bay. Although the payout is low (1 Prize Ticket), the reason is likely because you can form a group/raid and everyone contributes to each others’ quest objective – so if one person pops a balloon, the quest gets updated for everyone in the group/raid. Join a group/raid. Ask for an invite. Use an ‘interact’ macro to make completing and accepting the quest easier. Replace ‘Fefer’ with the name of the Balloon Stomping NPC Questgiver. Note: Don’t spam the macro. Just press once – complete quest; press again – accept quest. Ring Toss is a repeatable quest located in all the Carnival areas: Sanctum, Meridian, Shimmersand and Tempest Bay. The goal is to use the Quest Item you receive after accepting the quest and throw the quest item on one of the two seacaps that are constantly moving in random directions within the ring. Drag the Quest Item onto your action bar so you can use a hotkey to cast the Carnival Rings instead of manually clicking on the quest item each time. Mini Mounts Racing is a repeatable quest located in all the Carnival areas: Sanctum, Meridian, Shimmersand and Tempest Bay. 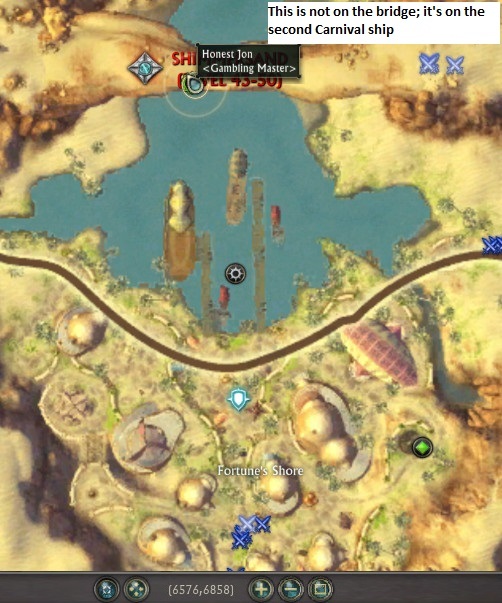 Speak to the NPC that gives you the quest for the Mini Mounts Racing carnival game (located right next to any Mini Mount Racecourse) and pick a team. Doesn’t matter which, although the more people jumping on a pad, the faster it goes. Now check the colored signs and jump on the pad in front of the sign that corresponds to the Team you chose. This speeds up your horse so it finishes the 6 laps faster. It doesn’t matter if you ‘win’ or not. Just finish the 6 laps. Memory Match is a repeatable quest located in the Tempest Bay Carnival area. 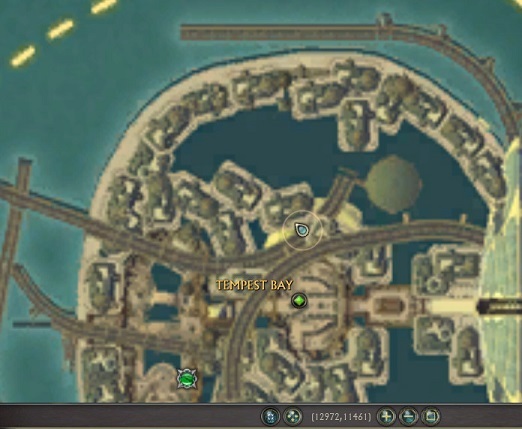 Memory Match is only located in Tempest Bay’s Dock area. The basic idea is that you click on the Lever in front of the Memory machine to activate it. The orbs will then light up in a random order. Once the sequence is complete, you are tasked with clicking on the orbs in the same order. Successfully matching the color sequence will reward you with progression through the quest. Failing results in you having to repeat. For some players it may be easier to say the names of the colors in your head as they light up to remember the sequence. May be easier than trying to remember the location. Phase 2 starts on 6th March 2014 and ends 19th March 2014. There is a quest in Phase 2 for 2x Auroral Doubloons. The quest involves completing 50 carnival games. This quest includes group contribution. There will also be another quest in the 3rd week that will include a 2-doubloon reward. Reward: 2x Auroral Doubloons and a Carnival Celebration Crate. Dragon Parades begin in Phase 2 of the Carnival of the Ascended and are marked on the map as Guardian/Defiant shield icons. They relate to the Dragon Cores-type quests. Objective: Collect Combine Cores from the parades 0/40. The Dragon Parades appear in Silverwood, Freemarch, Gloamwood, Stonefield, Scarwood Reach and Shimmersand. Wheel of Fate is a repeatable quest located in the Shimmersand Carnival area at (6576, 6858) on the second Carnival ship and Tempest Bay Carnival area at (12449, 11850). Objective: Pick a ticket and hope the ball lands on that number. This is basically a simple Roulette game. There’s 20 numbers so a 1 in 20 chance of winning. You speak to one of the NPCs (Low-Stakes, Mid-Stakes or High-Stakes) and buy a ticket, then right-click the ticket and accept the quest. Note: You can only accept a quest from a ticket item if you aren’t already on a quest (thus you can only use one ticket per game) and only if the ball isn’t already spinning. Low Stakes – Costs 20g and rewards 3plat 70g 12s if you win. Mid Stakes – Costs 2p and rewards 37plat 12s if you win. High Stakes – Costs 10p and rewards 185plat 12s if you win. Payouts are nearly the same at approx 18.5x cost. You can effectively ‘lose’ 18 times between each ‘win’ before you start getting into negative territory. Fashion Show is a repeatable quest located in the Shimmersand and Tempest Bay Carnival areas. They are located on the first Carnival boat. The Fashion Show involves waiting in the backstage behind the curtains to the catwalk. 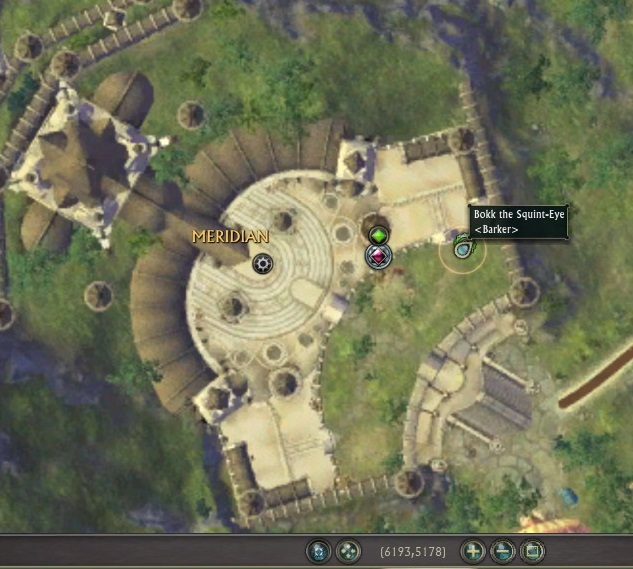 Once your name appears – stand in the white AoE circle and follow the prompts. Like with some of the other Carnival Games, you must wait for the Fashion Show to begin (it starts every few minutes). Drinking Contest is a repeatable quest located in the Shimmersand and Tempest Bay Carnival areas. They are located on the second Carnival boat. This Contest involves interacting with drinks on the various tables. You need to drink 15 before the timer runs out. You receive a stack of Drunkenness every time you drink. Hit 4 stacks and you’ll be stunned. You gain one stack per bottle. You can eat Bread to refresh the stacks; or become stunned to do the same. Drink 3 of the thin bottles, one of the mugs (larger drink) and then a piece of bread. Rinse/Repeat. Leaping Grass Tigers is a repeatable quest located in the Tempest Bay Carnival area. Leaping Grass Tigers is only located in Tempest Bay’s Dock area. This is a wack-a-mole game. Simply interact with the controller in front of the game and then click on the mounds where a Grass Tiger appears. Hit them in time to progress. Stand in the middle of the mounds so you can reach each location fast. 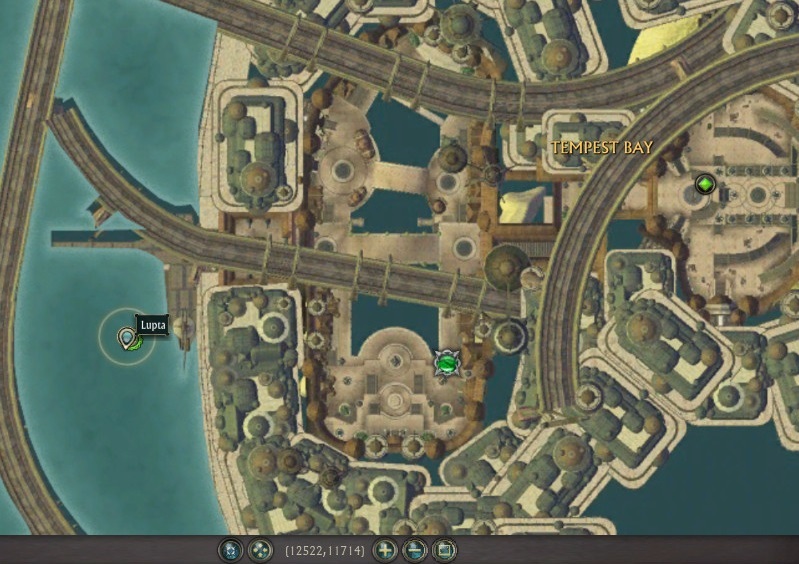 The Race Around The Carnival Grounds is a repeatable quest located in the Shimmersand and Tempest Bay Carnival areas. They are located on the second Carnival boat. Basic idea behind this is to choose a mount and then finish the race. Like the Budgie Madness races, you’ll have red AoE that slows you down as well as others that will buff you. Each mount also gives you a reactive ability to speed you up. The Crocnard and Ash Strider mounts tend to provide you with the fastest route to completing the race due to their shorter cooldowns. There’s a multitude of Achievements added for the Carnival under Achievements (default key “H“) -> World Events -> Carnival of the Ascended. There’s a variety of achievements that are related to obtaining a Spider Knight Mount (other than the very rare chance from the Carnival Celebration Crates). Play all of the Carnival Games at Fortune’s Shore in Shimmersand. These are located at approx (6644, 6864) along the shore and on top of two ferries. Mini Mounts Racing, Ring Toss and Balloon Stomp are available in Phase 1 of the Carnival. Fashion Show and Drinking Contest are only available during Phase 2 of the Carnival and are both located on the carnival ferries. Play a total of 100 Carnival Games. Hit It With A Stick! Bust open Dragon Pinatas placed around Telara. 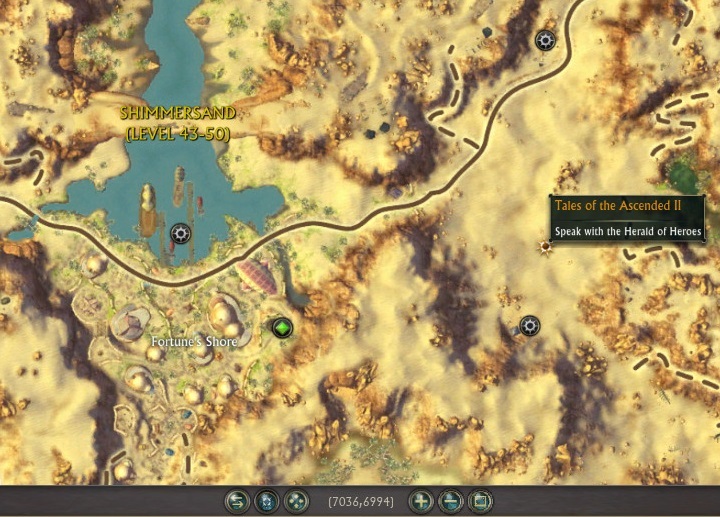 These spawn in all zones and are their icons on the map look like three multi-colored balloons. The Pinatas themselves vary based on the various Dragons. This achieve involves collecting 250x Parade Cores that spawn along the road that Dragon Parades path throughout various zones. These are only available during Phase 2 of the Carnival as the Dragon Parades only begin spawning during the second phase. Completing Gathering/Crafting Dailies related to the Carnival. If you aren’t receiving Glass Beads from any of the above – make sure you are at least Green to the mobs you are fighting by mentoring down to that level. Obtained from eating all of the above Carnival Foods. These cost 1 Prize Ticket each – obtainable from the Rift Store -> World Event section. What Do You Mean VIP Only? Don’t You Know Who I Am? Acquire all the Carnival Titles – purchased in the Rift Store -> World Event section for 50 Glass Beads each (300 total). Last year’s special Carnival Warfront “Codex: Wheel of Fate” is no longer available this year. Trion have confirmed they won’t bring it in for this year. Hope this Carnival of the Ascended Guide has helped you out! Happy Rift 3rd Anniversary!